Royal Enfield seems to be pretty serious about a scrambler variant from the Classic 500 range. As the adventure biking segment sees growth, a scrambler model definitely looks promising from Royal Enfield. 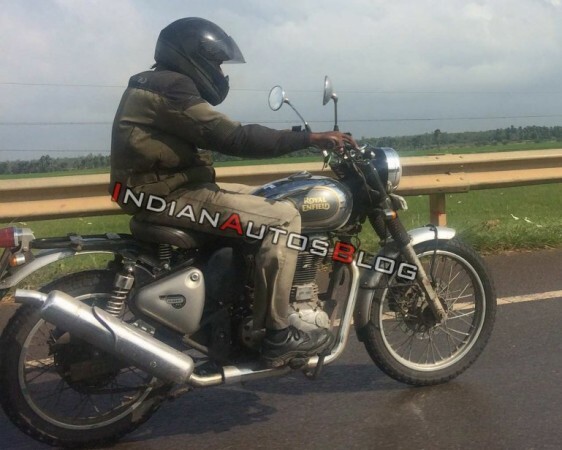 Six months ago, a Royal Enfield Classic 500 model with Scrambler-like characteristics was spotted at an unidentified dealership. The model had off-road friendly tyres, an upswept exhaust, and hence it was deemed to be a scrambler variant of the Classic 500. However, there was no news about the model after that initial spotting and Royal Enfield in the meanwhile was busy updating its entire range of bikes with ABS. They also shifted focus on the launch of the Interceptor 650 and Continental GT 650 and that led many to think that it was an aftermarket custom. 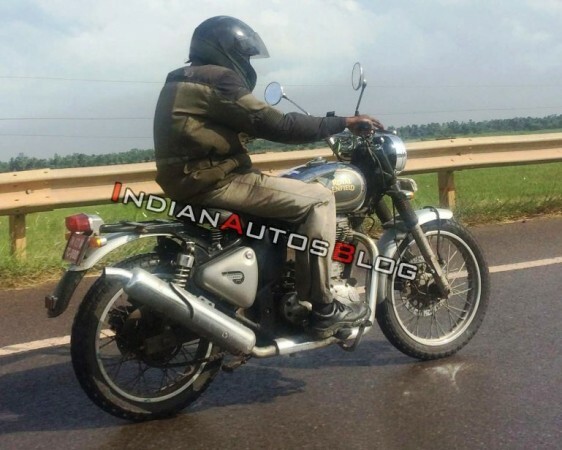 The latest spy images of a Royal Enfield Classic model with a Scrambler-like look indicates that it is indeed a legit production model from the Chennai-based manufacturer. There were also reports that an identical model was spotted recently in Pune with the number plate reading, "On test by ARAI". All this indicates that Royal Enfield certainly seems to be brewing something in their backyard. The spied motorcycle differentiates itself from the Royal Enfield Classic 500 with an upswept exhaust pipe, knobby tyres, rubber gaiters for telescopic front forks and the pillion seat has been removed. In addition, both wheels get shot fenders and the handlebar is tall and wide with a centre brace. The spotted model seems to be using a taillight and the turn indicators seem to be lifted off the Royal Enfield Continental GT 650. Both wheels likely get disc brakes and a switchable dual-channel ABS system is also expected. 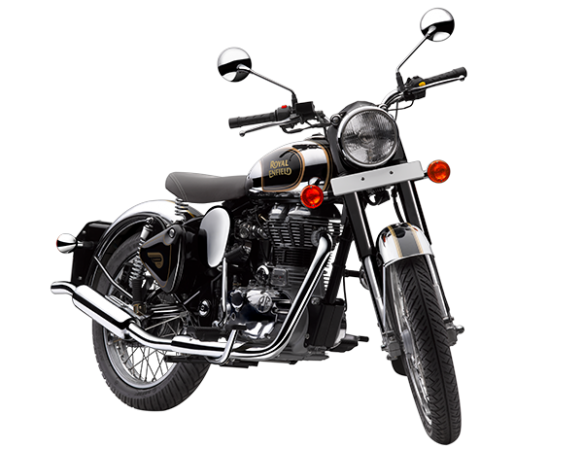 Royal Enfield is not expected to experiment with the 499cc single-cylinder air-cooled motor. The mill that powers all the 500cc bikes of Royal Enfield develops 27bhp and 41.3Nm of torque and is mated to a five-speed transmission. Royal Enfield is expected to launch the Classic 500 based scrambler model in early 2019. It will likely cost more than the standard Classic 500, priced at Rs 1.85 lakh (ex-showroom Delhi).